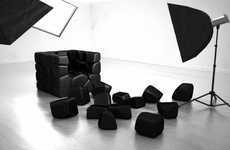 Leo Kempf's 'Tired Lounge' is a furniture piece in the shape of half a rubber tire but looks way more modern than it sounds. 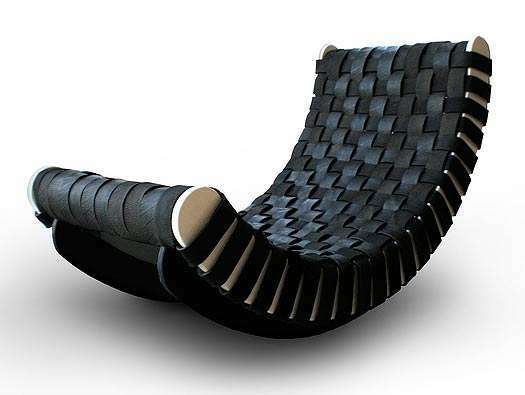 The lounge chair is made up of a frame from FSC-certified birch and upholstered by strips of black rubber, creating an in-and-out weaving pattern to dress the chair in style. 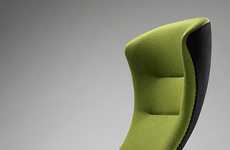 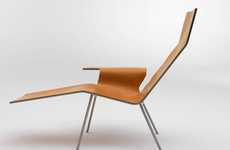 In a simple U-shaped design, it is also a rocking recliner. 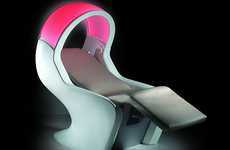 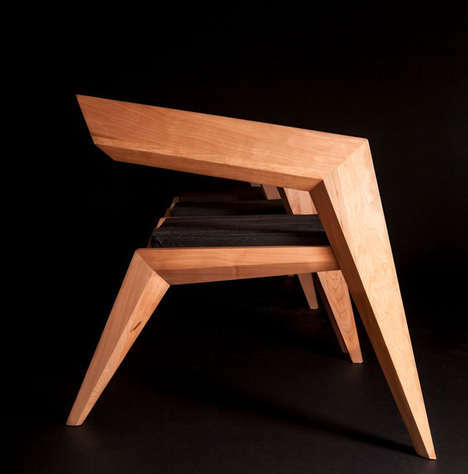 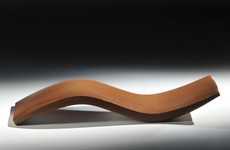 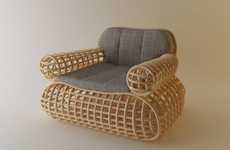 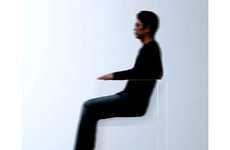 Leo Kempf's 'Tired Lounge' is truly a modern day rocking chair.